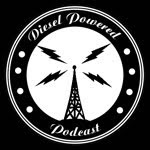 Recently I came across a YouTube video titled, “10 Old Movies Too Disturbing For Mainstream Audiences.” This video just screamed Gothic Dieselpunk to me. A little shy of 15 minutes running time this video is a well-made review of 10 classic movies most of which pre-date 1950. And just as the title says, most of them are dark, bizarre and disturbing. Needless to say, this video is NSFW. Plus, it has images and subjects that some might find disturbing. I'd like to highlight three of the movies in this video. In writing about film, one tries to avoid labeling any film as "unique." However, there has never been, there will likely never be, a film quite like Tod Browning's Freaks (1932). Set in a European freak show, cast with authentic human oddities from throughout North America, Freaks presents a side of circus life seldom witnessed on film. 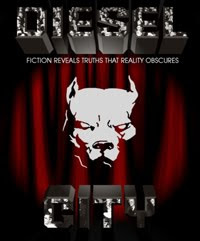 But what is more fascinating, these diminutive, misshapen and misunderstood carny denizens play out a diabolical fable of lust, murder and an unspeakably shocking revenge. Although many cities and viewers responded to the "freaks" with sheer disgust and moral outrage, Browning is completely sympathetic to them, and allows them to share the same emotions (love, lust, jealousy) and perform the same deeds (sexual banter, murder, marriage) as their glamorous counterparts. I highly recommend the Dangerous Minds web site "Gorgeous cast portraits from Tod Browning’s ‘Freaks’ (1932)"
Freaks was an inspiration for HBO's Dieselpunk series Carnivale. 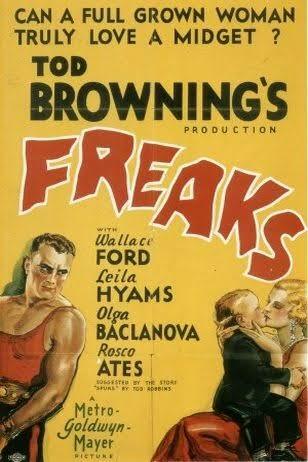 In 1994 Freaks was selected for the National Film Registry archives, and now enjoys both cult and canon status. Movie villains smile so compulsively because it creates a creepy disconnect between their mouth and their eyes. Imagine, however, a good man, condemned to smile widely for an entire lifetime. Such a creature would be bullied as a child and shunned as an adult. 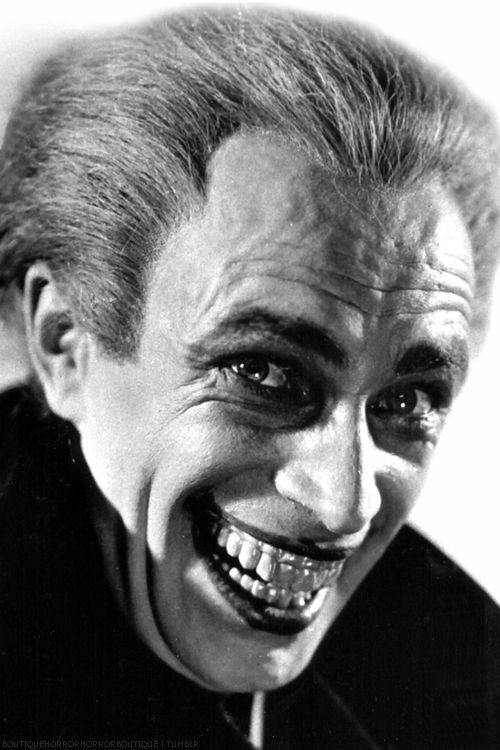 "The Man Who Laughs" (1928), one of the final treasures of German silent Expressionism, is about such a man. His name is Gwynplaine. His father was a nobleman. Orphaned as a child, he is captured by outlaws who use a knife to carve his face into a hideous grin. Disfigured, alone, he rescues a baby girl, and together they are raised by a fatherly vaudeville producer. As adults, they star in the producer's sideshow and fall in love. Because she is blind, she does not know about his grin. 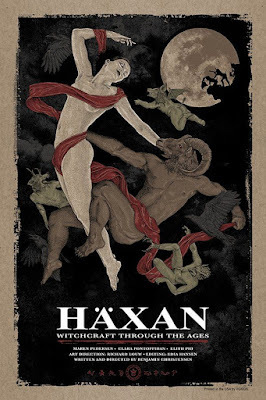 Presented in seven parts, Haxan opens with the chapter "Sources," which presents the human conditions that allowed witchcraft hysteria to grow and run wild during the Middle Ages, and moves on to Chapter 2, "1488," which explores and dramatizes numerous rituals and myths about witches with the aid of some striking special effects. Chapter 3, "The Trials," and Chapter 4, "The Torture," have a disturbing intensity due to Christensen's unsparing depiction of how a villager's family is systemically destroyed by false accusations of witchcraft. While many of the persecuted were elderly women whose greatest misfortune was being infirm, mentally ill or physically repulsive, the young were no less suspect and just as likely to be tortured or burned at the stake as we learn in Chapter 5, "Sinful Thoughts." One also shudders at the insidious devices on display and put into action in the name of drawing confessions from so-called witches in the section entitled "Techniques." In the final chapter, Christensen draws parallels between this dark time when ignorance and superstition reigned and his own, supposedly more enlightened era. Viewers will also be interested to know that the director himself appears as His Satanic Majesty in the movie.